1 What is “Graveyard Carz”? 2 Where are they located? 4 Who is Mark Worman? 9 What is Graveyard Carz’ Net Worth? “Graveyard Carz“ is an American automotive reality TV show by Mark Worman, Aaron Smith and Casey Faris, made independently by The Division film and television production company, filmed in Springfield, Oregon. The series centers around the restoration of late 1960s and early 1970s Mopar muscle cars. According to the moto of the “Graveyard Carz“ crew, ‘It’s Mopar or No Car’. The pilot episode landed on TV screens on the 18th September 2011, and the show is ongoing, so far airing nine seasons, with a 10th season projected for March 2019. The entirety of the footage observed in the show is shot on location in Springfield, Oregon, since that’s where Mark Worman’s “Welby’s Car Care“ repair shop is situated. When it comes to the stars of the show, the biggest name among all ‘The Ghouls’, which is the term used by the show and its fans to describe the main people responsible for the restoration of the cars, is one of its creators and executive producers, Mark Worman – he’s also the CEO of the aforementioned company. Alongside him is Royal Yoakum, the only other member of the cast to be featured in 56 episodes of the show. Daren Kirkpatrick and Josh Rose make up the last two of the four most prominent names who made the show’s first four seasons a success, with 34 episode appearances in total. With 29 episodes under her belt, Allysa Rose, Mark Worman’s daughter, is the fifth most frequent member of the cast. Dave Rea and Will Scott are relatively new but no less important additions to the show, having made appearances in 22 episodes from 2015 to 2017. Born under the sign of Leo on the 21st of August 1962, in Eugene, Oregon USA, Mark Worman is a 60-year-old Caucasian director, producer, CEO and car enthusiast. He was raised in his birthplace by his mother Ruby Worman of an unknown profession, and initially by his father of an unknown identity as well – he passed away from cancer when Mark was 12 years of age. As for his siblings, he has an older sister named Tara Worman, whose profession is unknown. Due to various health issues as a young child, Mark had to drop out of school during ninth grade at Springfield Junior High School, and shifted his focus from education to temporary employment across various fields, however, when he was 16 years old, he matriculated through a program at Lane Community College. Worman’s major childhood pastime was reading car magazines, developing a significant interest in the subject. Thanks to his early employment, he was able to obtain his first car at the age of 16 – a 1970 Dodge Charger with a 383 cubic inch two-barrel engine. Over the years, his passion for muscle cars grew, causing him to seek employment in local Springfield garages, in positions ranging from pump jockey boy to mechanic. He eventually started a business centered on repairing old and unusable muscle cars, specifically “Mopar” cars, which means their development was greatly influenced by the eponymous Chrysler company. The auto shop called “Welby’s Car Care” was first opened in 1985, at which point it had only three car bays. At some point in 2012, Mark established a relationship with the Discovery Channel’s Velocity network, now known as Motortrend. This arrangement meant that Worman’s company gets to keep all of their creative freedom, while Velocity provides suggestions and handles distribution. Born under the sign of Taurus on the 16th May 1991, in Springfield, Oregon USA, Allysa Rose is a 27-year-old Caucasian car enthusiast. Her 29-episode presence on the show has greatly contributed to her popularity among “Graveyard Carz“ fans, though she is at the moment not a very active cast member. Her ex-husband is the aforementioned Josh Rose, who left the show in 2014, stating his reason as underpayment. The two split in the same year, and divorced soon afterwards – the date of their wedding is unknown. Together, they have a daughter named Emma Rose. Currently, Allysa has a boyfriend named Anthony Johnson, with whom she shares a daughter named Brooklyn. 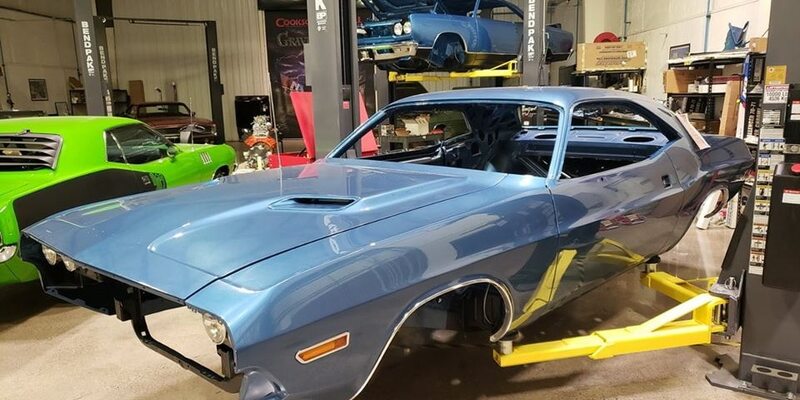 Of all the cars that the cast members of “Graveyard Carz“ have worked on, the most famous is the 1971 Plymouth Barracuda, which has an overwhelming 5-season presence in the show. Its repair process began in the first season, and the filming of its restoration, primarily initiated in order to disprove the allegations of those who doubted Mark’s ability, gave birth to the show itself. In that regard, this is undoubtedly the signature vehicle of the franchise. Every episode of the show is an hour in length, and has thus far registered 96 episodes (season 10 included). The show has its own website, on which its creators sell the franchise-related merchandise. There aren’t many automotive reality TV shows that focus on a very specific product, such as this one. What is Graveyard Carz’ Net Worth? Have you ever wondered how rich the cast of “Graveyard Carz” is, as of late 2018? According to various authoritative sources, it has been estimated that the total of Mark Worman’s accumulated wealth is over $500,000, Royal Yoakum’s around $1.5 million, and Will Scott’s approximately $80,000. This makes for a combined net worth of over $2 million, potentially amounting to $2.5 million with all of the lesser known cast members’ net worth combined. As the show is ongoing, this amount is bound to increase.